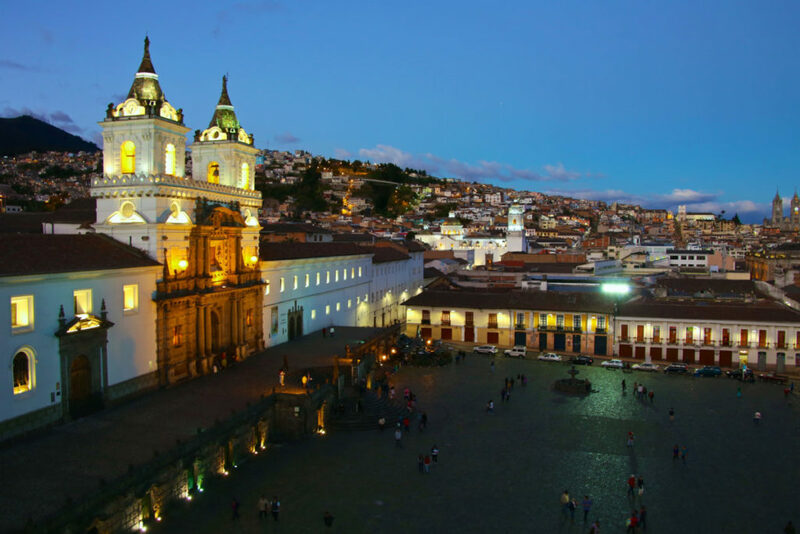 Quito is the capital of Ecuador and has one of the best-preserved colonial centres in South America. It’s the second highest capital city in the world, at 2,850m and in ths post we willl cover the best areas to stay in Quito. This guide will help you work out the best places to stay in a massive sprawl with over 2,000,000 inhabitants. It’s a great place to see history, nature, and of course, to party. Quito is one of the biggest tourist draws in Ecuador, for a number of reasons. Firstly, the historic centre is recognised by UNESCO as a world heritage site. 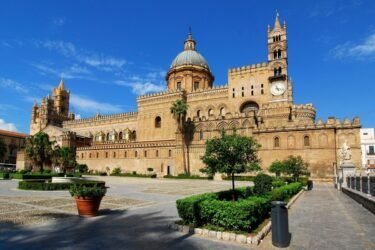 It’s full of whitewashed European style churches, huge cobbled squares great for people-watching, fascinating museums, and traditional artisans shops. Outside of the historic centre, there’s great nightlife in the Mariscal district, and some amazing viewpoints that give a bird’s eye view of the city. The best are San Francisco cathedral, the teleférico, and the virgin of Panecillo. Quito is also a great base for day trips. From here, you can take a tours to Otavalo market, the Cotopaxi volcano, and stand on both sides of the equator at Mitad del Mundo. 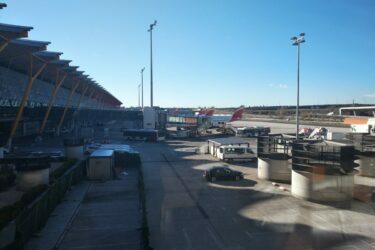 As for getting to Quito, and Ecuador for that matter, the main point of entry is the Mariscal Sucre International Airport. It offers direct flights to a number of cities in North and South America, as well as flights to Europe. If you are flying to Quito, compare and book flights using Our Flight Tickets Search. 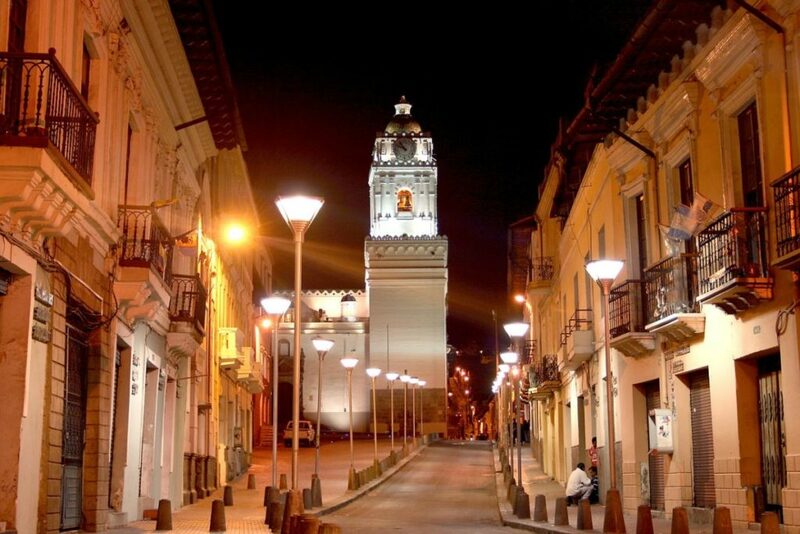 Quito has a reputation for being unsafe, especially at night, but using common sense prevents most incidents. When going out, stay in a group and don’t take any valuables out with you. Taxis are inexpensive, so use them at night. There are a lot of neighborhoods in Quito, each offering a different experience of the city. The historic centre is close to the majority of the attractions, whereas La Mariscal or La Floresta are good if you want to meet other travellers. Residential areas will offer you a different perspective and can be a great experience too. Wherever you stay, remember to use a map when you’re booking. Quito is HUGE. La Mariscal is a favourite among backpackers because it has the best nightlife in Quito. It is also where you’ll find the biggest concentration of hostels. Many of them have rooftop bars and terraces where you can watch the sunset and socialise over a few drinks. You can find a bed in a dorm room for about $10 a night here, or a private room for $25-30. The best hostels are within a 5-minute walk from the nightlife hub, Plaza Foch. Take a taxi at night, even for this short distance. During the day, La Mariscal is home to a number of restaurants where you can get everything from traditional Ecuadorian cuisine, to pizzas, to sushi. 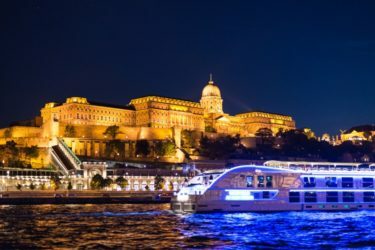 There are also several travel operators where you can book onward travel to Amazon rain forest lodges, the Galapagos Islands, or day trips to nearby sites. La Mariscal is a lot of fun but if you’re looking for an authentic experience of Quito, this isn’t the place for you. The Old Town is a great place to stay, and although it’s a little pricey, the majority of Quito’s attractions are here. Also, the extra money you spend on your accommodation will be saved on taxi fares at night if you’re staying around this area. As well as a number of hostels, there are several mid-range and luxury hotels in the historic centre. Hostels are a similar price to what you get in La Mariscal, and hotels start from $30 for a private double room with mod-cons like a TV, wi-fi and a free breakfast. The cobbled squares and churches are lit up at night and look even more beautiful. However, like La Mariscal, you should be careful and don’t go wandering down any dark alleyways. As well as the historic attractions, the old town boasts some great shopping and restaurants. Head to La Ronda, a picturesque and pedestrianised street where you’ll find some of Quito’s best restaurants. 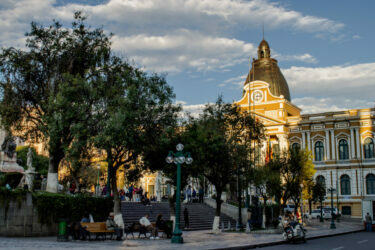 Plaza San Francisco and Plaza Grande are also a great place to pass some time. Some of the best cafés and chocolate shops are a short walk from this square. Masaya Hostel Quito – an excellent value for the money option in one of the best areas to stay in Quito. El Patio Hostel Quito – a great hostel in the Mariscal area, with easy access to the Plaza Foch. Hotel San Francisco De Quito – a charming hotel in the historic center of Quito. Hotel Reina Isabel – an excellent to stay close to the Plaza Foch. Hotel Patio Andaluz – An elegant and luxurious in the old town, one of the best places to stay in Quito. Plaza Grande Hotel – a splendid hotel at the very heart of Quito’s old town. Because it’s the capital city, Quito is more expensive than other parts of Ecuador, but it’s still very affordable. If you’re on a tight budget, you can spend $30 dollars a day including your hostel and a 3 course almuerzo (lunch). Public transport is easy to use, and most bus routes only cost $0.25. When taking a taxi, make sure they use the meter. One of the advantages of traveling to Ecuador is that they use the US dollar as their official currency. These way you can minimize costs with exchange rates in exchange offices and ATMs. Since the Equator line crosses the country of Ecuador, it results in temperatures being very similar across all monhts in Quito. What you should consider though, is that precipitation changes considerably in Quito, depending on the season you visit it. From June to September are the months with least days of rainfall, and are therefore, the best to visit Quito. If you are traveling to Ecuador and other countries in South America, you may want to check some of our other guides to the region. Check our guides on the best places to stay in Bogota, Colombia and where to stay in Lima, Peru. You can also check our post on the average and minimum salary in Quito. Are you already in Quito or have you visited Ecuador? Leave your thoughts and questions in the comment box below.